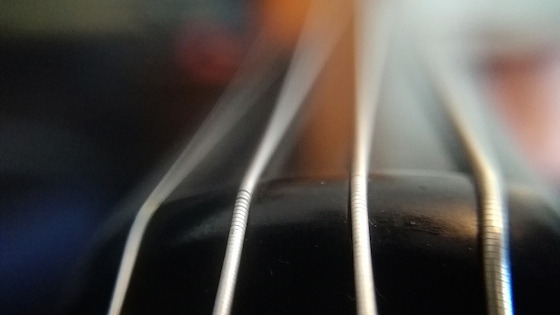 Practising Scales on the Violin: Love Them or Hate Them? December 2, 2018, 2:44 PM · The subject of scales has always been very divisive. Do you love them or hate them? Are they something you genuinely enjoy or are they a necessary means to an end? Personally I love scales. I love the structure and I find them calming, almost zen-like to play. I find it fascinating that each key, although following the same pattern, has a completely different aura. When I was studying violin at the Royal Academy of Music in the eighties, there were only a handful of practise rooms available to students so you had to be creative in finding places to practise. Behind the percussion room there was a disused loo that a handful of people knew about and I used to love going there to practise my scales, sometimes for a few hours at a time; also, the acoustics in there were fantastic, which is always a bonus. As a teacher, scales can be a thorny subject. Younger students often find it hard to understand why they should play and practise scales, whereas adults can sometimes be more amenable to the discipline and patience required for scales practise, although this is a broad generalisation as there are exceptions on both sides. For beginners in particular I like to create scale exercises that make them more fun, helping them to see and hear patterns which they will then encounter in the pieces they play. Practising scales can be useful from so many perspectives; initially, left hand intonation is the most glaringly obvious, but it very quickly extends to working on the right arm as well, using scales to help with a variety of bowing techniques. They can also be useful in teaching and learning rhythmic patterns as well as working on bow control, dynamics and so much more. The beauty of scales is that they are indispensable in improving your technique whatever your level of preparation. When I was preparing my students for their “Quinto” exam for the Italian conservatoire system, they had to learn all three-octave scales and arpeggios on the violin with a variety of bowings. A few of them even came to share my love of scales, especially when they realised how much it was helping them. I had a student years ago called Gabriele. His mother had sent him to study with me saying that his previous teacher had traumatised him so badly that she just wanted him to learn to love music, having no great expectations that he would become a violinist. I have to say mission accomplished, as Gabriele did learn to love music and still does to this day; scales however, not so much. Every time I asked him to play B flat major scale, I would remind him that there is no open E string and he would nod and agree with me and then play an open E string and stop in his tracks. One day, we went through this particular ritual and, as he played the inevitable open E string, my cat Chocky leaped forward and bit him on the leg. I was shocked as she was a very placid cat but Gabriele, completely unperturbed, turned to me and smiled saying, "your cat is a music critic." What a wonderful response, and I believe after that day he did remember the E flat more often than not. December 3, 2018 at 05:53 PM · Although it's good for students to learn scales and arpeggios, as they are the building blocks of many pieces of music. I would say that what has helped me far more in a shorter amount of time is practicing blocking. If you practice blocks and shifting from any finger to any finger with different intervals the left hand will in general be more equiped to play about anything.if you think about scales as a tool for blocking, the student practices changing from one block to the next in a sequence. If a student learns how to play the 34 block, they would be able to play a one octave scale literally anywhere on the violin. You can even practice blocks on multiple strings which helps students learn to play double stops and chords. Also by adding different finger paterns starting on different fingers will help them build tools for sight reading as well. If they learn the 12 23 34 open and 1234 patterns, they will have tools to play any piece. I think this is much better than just learning root scales. I would spend more time practicing arppegios though, since most pieces have them in multiple octaves. I would also pracice playing them in their inversions. December 3, 2018 at 07:19 PM · I , like you , love doing scales. When I am warming up with scales I practice my bow hold making sure thumb is curved and pinky on top as well as the push/pull of the index finger. I practice the tip to frog and the extension of the forearm without moving the shoulder and arm position relative to the string I’m playing. With my left hand I can practice pinky strength and intonation. All of this can be done without the stress of tempo or making the practice sound like an actual piece! December 4, 2018 at 12:54 AM · My two violin heroes had diametrically opposed views on scales: Heifetz played scales, Milstein didn't. Personally, I believe in practicing scales for reasons too many to enumerate here. But they do also calm me down and help me to mentally get in the "zone." I like the scales books by Elizabeth Gilels (Leonid Kogan's wife and a great violinist in her own right!) and Jascha Heifetz (edited by Endre Granat). I do incorporate scales into my teaching practice to help my students with the basic fundamentals: intonation, the frame of the left hand, bowing mechanics, shifting, string crossings, coordination of both left and right hands, and sound production. December 4, 2018 at 03:38 AM · For me they are a kind of meditation! December 4, 2018 at 04:01 AM · I don't love scales, but I do them. What I have never understood, though, and what hindered my doing them for a long time was treating them as a "warm up." For me they aren't a warm-up, they are a separate discrete task that I need to think about and do. I have to warm up on what I'm actually working on, hit the hard parts, remind myself of things I would forget otherwise. But I have come around to viewing scales as meditative and good for intonation, shifting, and right hand exercises. December 4, 2018 at 03:43 PM · You guys remind me of that monk who, in midwinter, has to get up every day at 5am in the freezing cold, go to the chapel and take part in the morning vesper (or whatever it is called) and finds that an uplifting experience! Scales are useful but incredibly boring. There is no need to turn them into a go to exercise for everything and anything you do on fiddle. You can practice your bowing on ay melody you like, provided it is easy enough to play to allow you to concentrate on the right arm. I find them most useful to get comfortable in high positions. I have no discipline whatever about scales; I practice them on a whim once in a while. December 4, 2018 at 07:42 PM · For me, and my slightly arthritic hands, scales and arpeggios are the beginning of every session when I'm in my studio. Not only is my instrument in tune, but my hand is also. I start in fourth position and work my way down the fingerboard to half with a variety of keys in each position. It doesn't take long but it does set-up the rest of my session either teaching or just playing for myself. Rituals are comforting and calming. December 4, 2018 at 09:56 PM · My schedule is so busy that it's hard enough to find time to practise anything, and orchestra material usually gets priority. But if I have a few extra minutes, I'll work on a 3-octave C scale (it's a viola) in broken thirds. This is really good at bringing out intonation problems - especially if I've been playing violin recently. December 4, 2018 at 10:23 PM · I'm with Laurie. Scales have a zen-like quality about them. I also like studies -- Dont, Mazas, Kreutzer -- I like them all. I play them nice and slow. December 6, 2018 at 02:54 PM · My students' attitudes to scales change radically when I show them a Grade 8-level piece and point to a run of notes that equates to a scale they know, then ask them to play it. And they can! For beginner violinists this is so exciting, as it makes them realise that scales allow them access to pieces that, initially to them, look impenetrable. It gives them hope! December 6, 2018 at 04:24 PM · Had a friend: She heard Heifetz was in town (NYC) and wondered if she could study with him in CA...her Julliard teacher arranged an 'audition'. Claudia was aware of Heifetz's penchant for scales and thus was 'prepared'. He asked for some scales....she proceeded thru for less than a minute...He stopped her. yowling, No No....then he played 3 octave scales in double stop 3rds....and said, Call me when you can do that...What a guy, Ain't it ? ?